I’ll be on a 10-day hiatus with little to no internet access, so I figured I would link to the articles that I am most proud of over my three years of running the site. Additionally, feel free to check out Wahoo’s on First, a Cleveland Indians’ blog, where I am co-editor, and you’ll be able to hear podcasts, read about the trade deadline, and other Tribe news. Thanks for finding me and enjoy the second half! 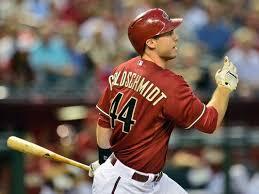 2014 Top 50 Mid-Season Prospects: Self explanatory title. The Sudden Emergence of J.D. Martinez: A look at the breakout Tigers’ outfielder. 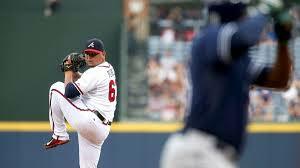 Why Matt Kemp to the Reds Makes Sense: Mat Latos for Matt Kemp and some cash? Read why that makes sense. Time for Cincinnati to Extend the Toddfather? : Todd Frazier is breaking out and soon he could break the bank. 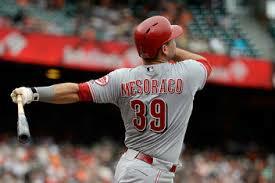 The Reds need to extend him. Is 755 Still Meaningful? : A look at the number and if it will last longer than Barry Bonds‘ number. Beyond Color: The Value of Jackie Robinson: Jackie Robinson is much more than the No.42 and the man who tore down the color barrier. When Arguing By History Goes Horribly Wrong: Albert Pujols thinks he’s as big or a bigger deal than Mike Trout…or he did…should he? The Flaw of Sabermetrics: How WAR Can Ruin Payrolls: Can the statistic of Wins Above Replacement take a larger role in free agency, and, if it can, how could that ruin the game or increase spending to new heights? 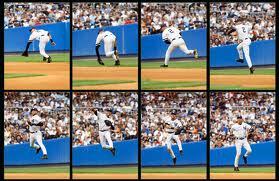 Losing the Captain and the Heart of Baseball: Derek Jeter is retiring. If you watched the All-Star Game, you may have heard. Why is it really such a big deal? Vladimir Guerrero: Overlooked Greatness: I interview Sports Illustrated’s Jay Jaffe and discussed Guerrero’s Hall of Fame resume, along with how his JAWS system compares him to other greats. Pitchers Who Won’t Come Up Short: Short pitchers that throw hard – it’s a thing, but so is the label of not being able to hold up due to their height. Jack Morris: Why He Isn’t a Hall of Famer: Self explanatory. MLB TV Contract Eliminates Excuses for “Small-Markets”: Don’t tell the fans you don’t have the money when this is out there. 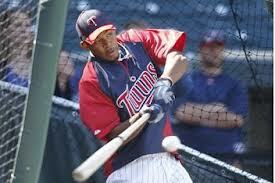 2014 Top 100 MLB Prospects: The preseason list. 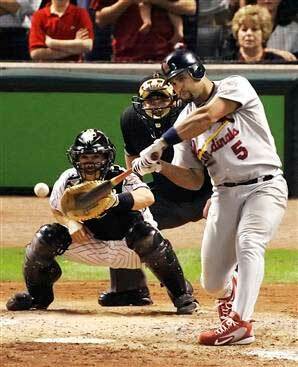 Albert Pujols should be a first ballot Hall of Famer, even if you only consider his time with the St. Louis Cardinals. Pujols posted an 83 WAR (FanGraphs) from 2001 to 2011 in the “Gateway to the West”, winning three MVP awards and earning nine All-Star appearances in those 11 seasons. 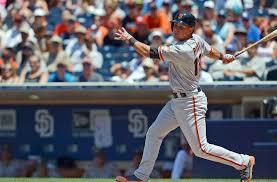 He parlayed that success into a 10-year, $240 million deal with the Los Angeles Angels prior to the 2012 season. Since joining the Angels, the Pujols that you grew to love (or hate) has played in just 253 games, compiling a .275/.338/.485 triple-slash with 47 home runs and 169 RBI, while amassing a 4.4 WAR over the last two seasons. 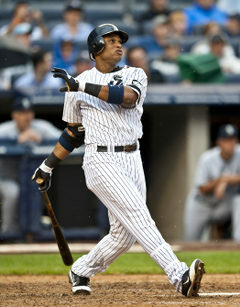 “Prince Albert” certainly hasn’t lived up to expectations, but the partial tear of his left plantar fascia played a major role in his sudden decline in 2013, as his 30 home runs and 105 RBI in 2012 can’t truly be considered a failure – unless your own expectations could have been judged in the same way. 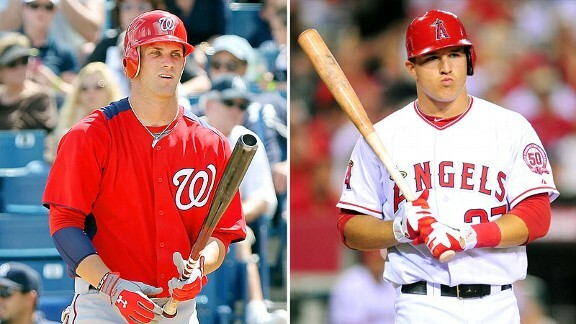 Are you motivated to put up the same numbers as Mike Trout? We do seem to forget greatness rather quickly in our society, which lives in the now thanks in large part to social media and a non-existent attention span; however, does Pujols have a point? You could argue that what Pujols has done – nearly 500 home runs and a little over 2,300 hits – will reach numbers that guarantee a legacy and enshrinement into Cooperstown. If he continues to stay clean, which has been an argument from some in the past, that seems to be a lock, but, as we all know, one wrong move, one wrong vitamin, and one wrong trust in a trainer could leave Pujols waiting on steps of the museum with Bonds, Manny Ramirez, Sammy Sosa, and others. 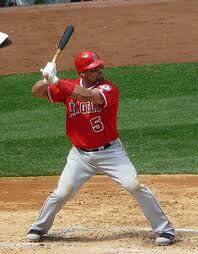 Let’s just say that Pujols remains the clean producer that he has been. Pujols will still be considered a monster, likely the second player with 3,000 hits and 600 home runs in Major League history (joining Willie Mays). Does he need to prove anything to anyone, considering that he could post 100 hits and 15 home runs per season over the next seven years to reach those milestones? He certainly wouldn’t be worth his average annual value with that type of production, but given the Angels’ television revenue and the gate revenue that comes along with the milestone chase, perhaps the Halos could still break even. Here is a bigger question: Is it fair for a member of the media to ask if Pujols can put up numbers that Mike Trout has the last two seasons? No. 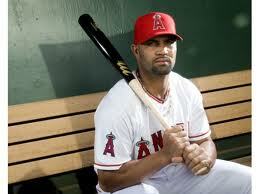 Pujols never has posted those numbers and he certainly won’t as he continues to age and decline. You see, for all of his greatness, Pujols will forever lose value in the battle of statistics. With Wins Above Replacement being such a dynamic measuring tool in player values, Albert Pujols has to understand that he has NEVER been as valuable in a single season as Mike Trout has been in his first two full season. Mike Trout has accumulated a massive 20.4 WAR (FanGraphs) in those two seasons, establishing himself as the top player in the game, even though he has not managed to snag the last two American League MVP awards from Detroit Tigers’ first baseman Miguel Cabrera. For all of the 14 years of production that Pujols can stand on, for the nine All-Star games, for the three MVP awards – baseball has moved on from legacies and histories to projection. By developing statistics that measure player values currently and in the future, like Dan Szymborski’s ZiPS system, there is information available to teams and fans to dissect and look towards the future with, while hoping that their teams utilize the seemingly endless media revenue streams to lock-up their young stars, like Trout, to long-term deals. Albert Pujols has very little projection left and it seems unlikely that in today’s market, just two years removed, that Pujols would have received the type of contract that he did in Los Angeles. As for the history that comes with Albert Pujols, he isn’t the player that the Angels are building their franchise around any longer. 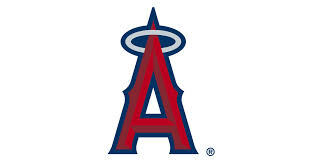 Although Mike Trout isn’t under team control as long as Pujols, the franchise is aware of the future success of the club, and it lies in the all-around skills and dominance that comes along with the generational talent that they drafted and developed, not the man that they committed a quarter of a billion dollars to in free agency. If Mike Trout continues to be Mike Trout and he isn’t crippled by injuries like Grady Sizemore or Tony Conigliaro, Pujols will look back at this question and statement to remember that he was the one that could have used a serving of humble pie. Trout’s overall numbers may not reach the 700 home run plateau, but his WAR value could lead him to becoming the greatest player ever. Pujols has never had a season as valuable as the last two that Trout has managed to post. If he thinks that he is the more valuable player of the two still today, he has to be kidding all of us, right? It is easy to look back on the 2012 MLB Draft and see that 18 players were picked before Michael Wacha and notice that only two of those players (Mike Zunino for Seattle and Kevin Gausman for Baltimore) have reached the majors; howver, none have had the success that the St. Louis Cardinals, 6’6″ right-hander has had to this point. 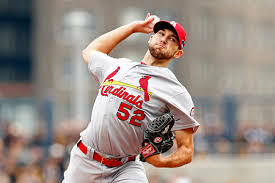 After another dominating start on Saturday, a 1-0 win over Clayton Kershaw and the Los Angeles Dodgers, Wacha has now dominated in his two postseason starts, posting a 0.64 ERA and 0.64 WHIP over 14 innings after posting a 2.78 ERA and 1.10 WHIP over 64.2 innings in the regular season. 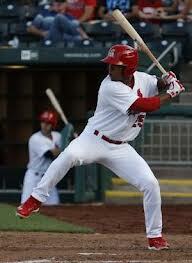 Before Wacha was selected, several of the current top prospects in baseball were selected before him. While Wacha was a collegiate arm who was always expected to move quickly, he was not even the Cardinals’ number one prospect prior to this season, ranking 6th in the organization by Baseball America and 5th in the organization by John Sickels at minorleagueball.com prior to the 2013 season. With Oscar Taveras in the organization, who was ranked in the top three on nearly every prospect list in the world prior to the season, it shouldn’t come as a surprise that Wacha wasn’t number one; however, it seems as though others are forgetting that Shelby Miller was a rookie this season, as well, and he only went 15-9 with a 3.06 ERA and 1.21 WHIP in 2013. Regardless of where Wacha was selected in the draft, his quick ascension to dominance is just another example of the St. Louis Cardinals being better than everyone else in baseball when it comes to player personnel decisions and development. 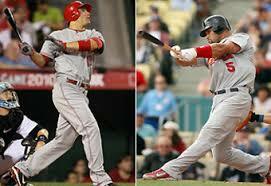 The 2013 St. Louis Cardinals were playing their 2nd season without Albert Pujols, who they replaced with Allen Craig. Craig was an All-Star this season who battled through injuries. When he wasn’t on the field late in the season when St. Louis was battling for the NL Central title with Cincinnati and Pittsburgh, it was the big boy, Matt Adams at first, who managed 31 extra-base hits and 51 RBI in just 319 plate appearances while posting an identical 131 OPS+ with Craig. Oh…and Kelly is only 25. Carlos Beltran is heading towards free agency and it is fair to wonder whether the Cardinals will even bother trying to re-sign him, as they could move Craig to right field (he has started 42 games there over the last two seasons) to make room for Adams at first, or they could just plug in the best pure hitter in the minors, Taveras, to reload on the fly. St. Louis was the team that decided to NOT pass on Albert Pujols with the 18th pick of the 13th round back in the 1999 MLB Draft. 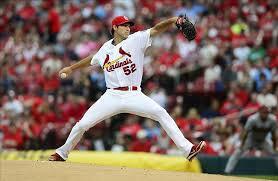 They received Adam Wainwright from the Atlanta Braves for J.D. Drew back in 2003. 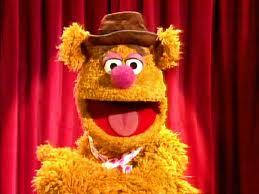 They may have gotten lucky and they may be in the process of continuing to get lucky with their success in decision-making and drafting, but while everyone is creating headlines with Wacha, Wacha, Wacha…other teams shouldn’t take this as a laughing matter. 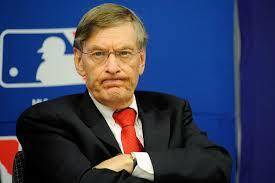 Instead, they need to challenge themselves to be as successful as the bar that the St. Louis organization has set. 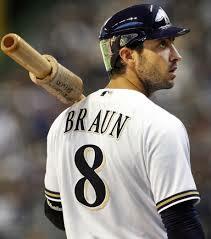 It isn’t that your team chose the wrong player, it’s that the Cardinals chose the right player when it was their turn. Time will tell if Wacha is better than the 18 players picked ahead of him, but right now, it is hard to not envy what is happening in the “Gateway to the West”.